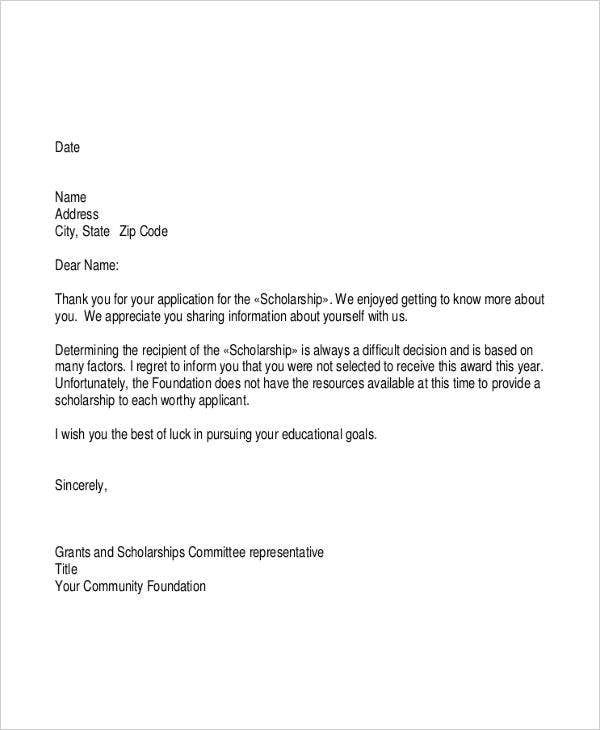 A rejection letter is a document professionally presented that rejects requests, applications, and permits with courtesy. Rejection letters are written for the sole purpose of giving an unfortunate follow up regarding any letter that could possibly be rejected. A rejection letter isn’t expected to be rude at all as it gives words of appreciation to the sender anyway. In most cases like that of a job rejection letter, it is direct to the point with its intention to reject. More so, rejection letters do not sugarcoat their intentions so as not to make senders positively expectant from it. This way, senders are formally informed and notified of a rejection. Majority of rejection letters come out the same. It could only possibly differ in terms of what has been duly rejected and who has been rejected. Either way, rejection letters maintain a professional tone. 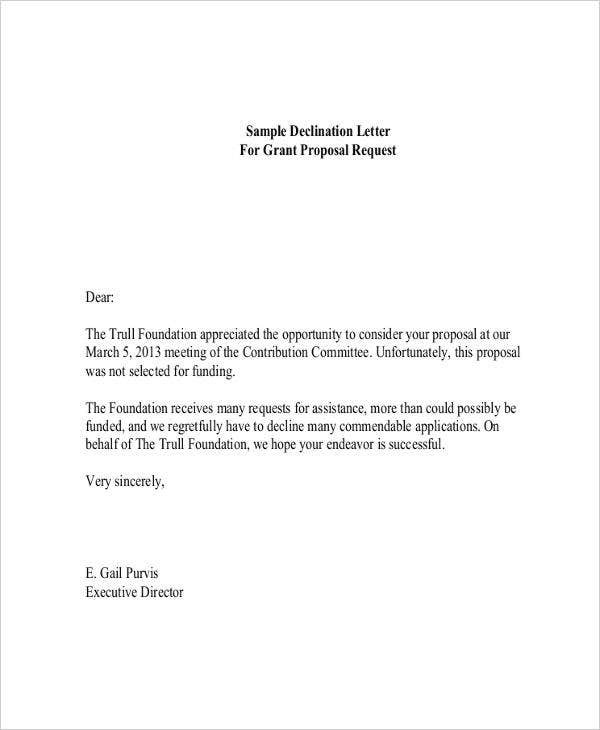 Like our rejection letter templates, there should be a part of it that aims to maintain good relations with the reader despite the rejection. Chance for other opportunities. 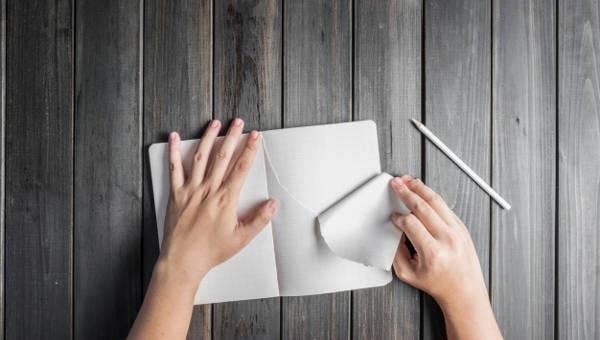 When you read key words of rejection in a response letter, do not get discouraged about it and take it as a chance for growth and other opportunities. Take for example you get a rejection letter for your research publication, it doesn’t directly imply your research isn’t significant. It could also mean it just wasn’t the right avenue to submit your research. Try again. It doesn’t always have a negative meaning when you’re asked to try again. It could mean they would accept you for whatever you are applying or requesting for but you just have to do a little more adjustments and changes. You may check out our templates on Job Applicant Rejection Letters and sound professional with your rejection letters and notice. First, be straightforward with your intention to reject and not with your rejection terms. Second, always use professional and polite words even when rejecting. You may or may not include reasons for it and always leave a few words to encourage towards your closing. 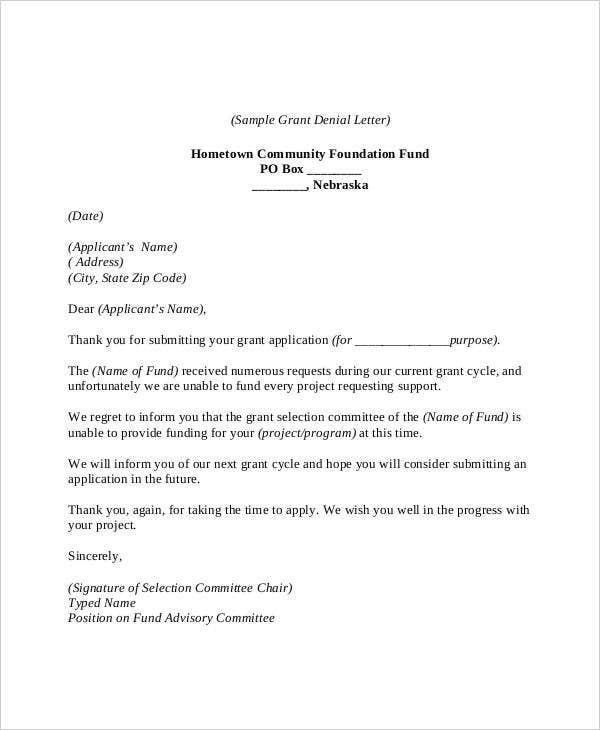 We have available rejection letters in PDF format and we also offer a variety of Rejection Letter Samples for other common rejection circumstances. Limited Information. 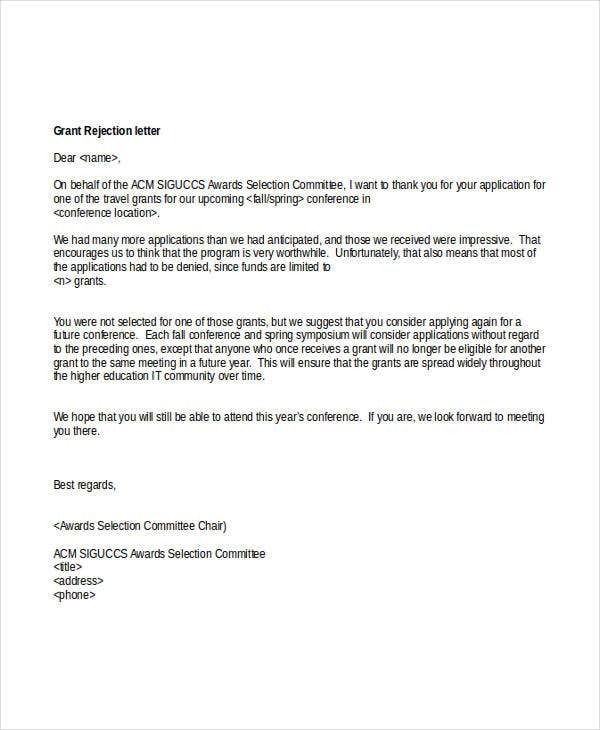 You might have provided minimum to little information that made them reject your grant application. Mismatch of objectives. When you include unrealistic objectives in your application, it would directly be sound enough to get you a rejection. Not following guidelines. If there were clear guidelines provided for you which you were not able to follow or have mistakenly overlooked, it still wouldn’t be subject for consideration. 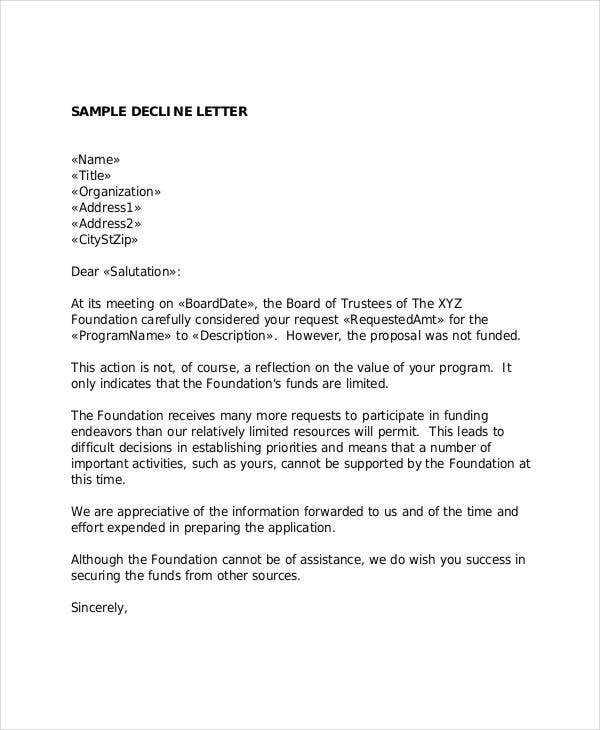 Browse through more of our formal rejection letters format. 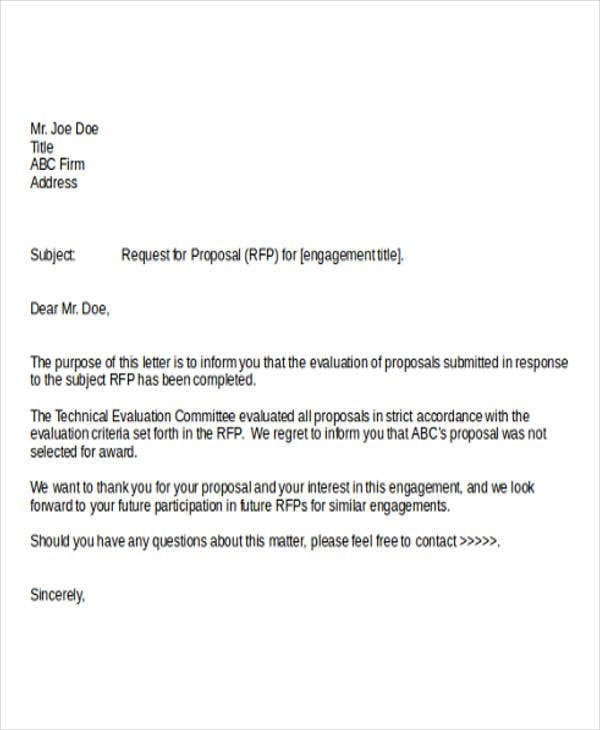 Check our our website for the Best Rejection Letters that are easy to edit and download from our business archives.